However, a recent YouGov survey conducted by QuoteSearcher has shown that current efforts to encourage SMEs to export their products and/or services may not be as successful as hoped. In fact, 69% of respondents said that they had never heard of the government’s ‘Exporting is Great’ campaign before, a campaign which aims to promote the benefits of exporting products across the world. At the same time, the survey shows that generally, SMEs have a positive view on trade both within the EU and worldwide. 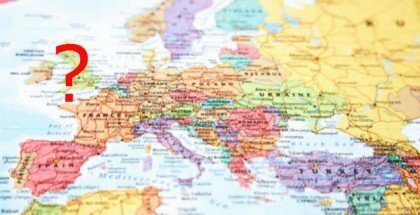 Some 64% of respondents claimed that out of every region worldwide, Europe is the most profitable potential partner, with 31% also stating that the EU offers “a lot” of trade opportunity. Furthermore, 78% of SMEs said that exporting worldwide is either “fairly” or “very” important. “I have to admit I also hadn’t previously heard of the government’s ‘Exporting is Great’ campaign,” explains Professor Simon Down, Deputy Dean for Research and Enterprise at The Lord Ashcroft Business School, Anglia Ruskin University. “One of the reasons why this campaign may not be as successful as the government had hoped is because with these types of campaigns and initiatives there are often things that companies have to do to in order to take part. Along with the government’s campaign not appealing to its target audience, 30% of SME decision-makers claimed that legal/regulation issues are the biggest barriers to exporting products abroad. Unfortunately, if Britain does vote to leave the EU in June it’s likely that these barriers may become even tougher. The question is, would SMEs vote differently in the upcoming referendum if they knew the exporting and outsourcing opportunities that they could potentially lose out on? “Probably yes,” said Professor Down, “If the government’s ‘Exporting is Great’ campaign was more successful, there may well be a greater willingness from SME decision-makers to think about staying within the EU. At the point of writing, there is still time for David Cameron to properly exhibit the trade, outsourcing and general economic benefits for SMEs should they choose to remain within the EU; however the challenge will be speaking louder than his pro-“Brexit” counterparts.